There is nothing like the start of a new year and a new role to motivate refocused goals. Currently, I am enjoying a 30 Days to a Life with Purpose Challenge. The daily email task suggestions and recommended blog reads are thought provoking and inspirational. 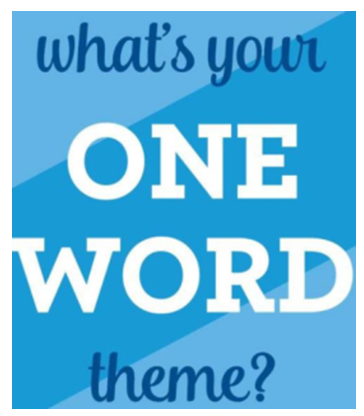 One of the tasks early on in the challenge was to consider adopting a word or phrase as a theme for the year ahead. I often find such things a bit anxiety producing…just one word? One phrase? Wowzers! That is so much pressure to get it right! As an Executive Team – Mark, Carolyn and I typically leave this kind of theme seeking to Brenda Fawkes, our amazing Director of Programming and Innovations. She has a knack for passing along to us messages the Lord places on her heart for RCOA. Amongst those messages have been themes like simplify, for such a time as this, edify, encourage, equip, Jethro Principle… The word she received this year is team. Mark, Carolyn and I, too, feel a deep sense that God is calling us to a season of focus on team. Hence, when the ministry inspector commended us on our administrative team structure we felt assurance that we are working in God’s will by building a team leadership approach. (See Mark’s article Reenrollment Opens for the 2018/19 School Year on March 1: How is RCOA Doing? for details on the Ministry of Education audit and evaluation results). The theme word God imparted to me as a theme for the year is together. I just love that word and everything that it means. We have done some work with Meyers Briggs personality testing and I test as an ENFJ (extrovert, intuitive, feeling, judging). The best thing you could assure me of is that you are with me; that we are in this together as a team. I am super excited about these words – together and team – as our focus for the year ahead because they speak so clearly of the words God spoke to me as I worked through a decision about taking on the Principalship on a snowy night in January 2017. I share more about that God connection in this month’s article, Called to Leadership. God is so intricate. His plans are so perfect. Perhaps you would find value in seeking one word or phrase that will act as an overarching theme for the year? There are many resources online to guide you should you desire to do so. What does the Lord have on His heart for you and your family over the next 12 months? Re-enrollment Opens for the 2018/19 School Year on March 1: How is RCOA Doing?